A pressure range of 100 to 400 Pa. Specialized formed, insulated, housing painted by an electrostatic powder coated finish on galvanized sheet. Three speed levels, self-control motor, double suction type centrifugal fans. With an aluminum plate recuperator having a 55% efficiency, energy consumption. 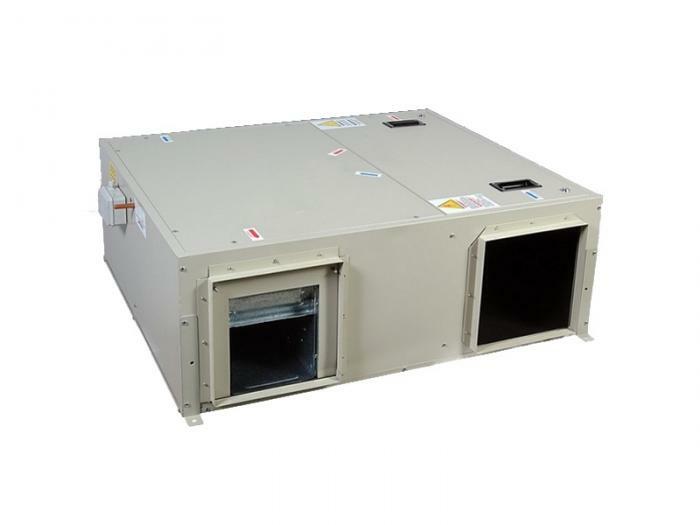 Washable G2 fresh air and exhaust filter, electrical control panel containing power and control equipment. 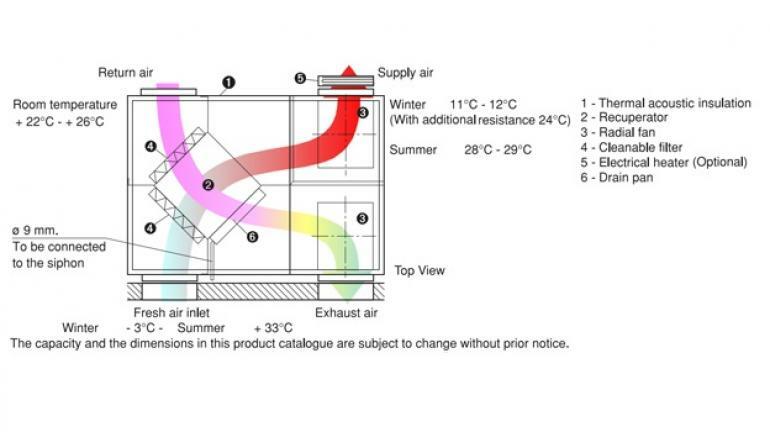 Optional duct type electric or water heating cell. Standard, three speed levels commutator switch and an optional digital, multifunctional electronic panel connectable to the BMS (Building management system). Optional air quality - CO2 sensor, air supply sensor. 230V 50 Hz. - 400V - 50 Hz. 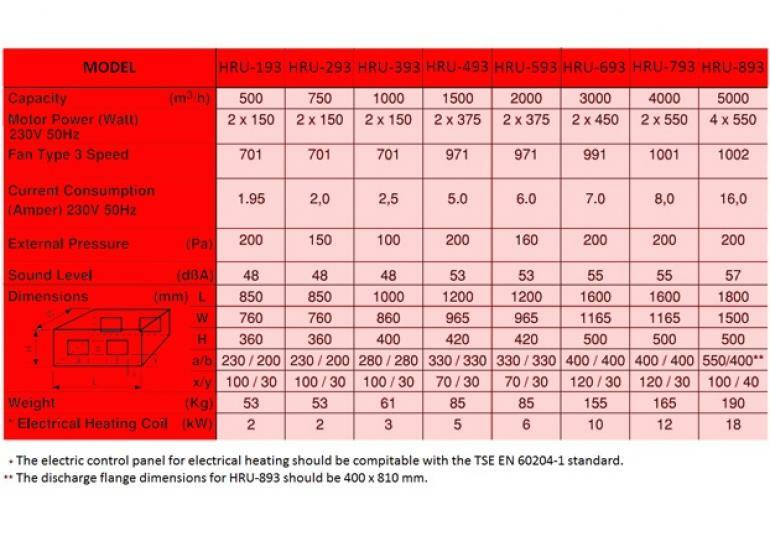 Power feeding options of the electric heater. Ceiling or wall-mounted, versatile use capability, easy maintenance and mounting.